School choice has expanded significantly in the past couple of decades and is likely to continue doing so. Rigorous research has informed our understanding of the impact of school choice options on student achievement, attainment, and family satisfaction. It has also shed light on the effects of different school governance structures, residential location and access, segregation patterns, parents’ stated and actual preferences, information flows, and the attributes of effective choice schools. Further research is needed to address the variability in effects of school choice options, both between and within sectors (e.g., charter, voucher, and private schools). 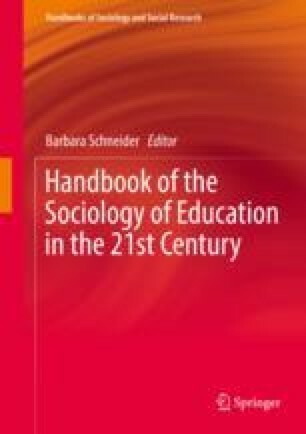 Such research will allow sociologists to broaden their focus from the “horse race” of comparing one school sector to another (e.g., public and private, charter, and traditional public) to considering new waves of questions that can benefit today’s increasing number of partnerships between researchers, policymakers, and practitioners. This in turn will lead researchers to additional theorizing, moving them beyond market and institutional theories to developing new ones that depict current empirical conditions.